“If you are a digital marketer in the hospitality industry, you are going to want to tune in to this webinar,” said Milestone Vice President of Marketing, Walter Paliska. “Marketers will get invaluable data and insights into each stage of the customer journey, and how to get the most from each step,” continued Mr. Paliska. Learn about the customer journey, what the stages are, why they matter to a marketer, and how you can benefit from the right mix of marketing programs across all phases of the customer journey. The team from Google and Milestone will discuss how marketers can optimize their marketing to get the most value from each customer journey stage. 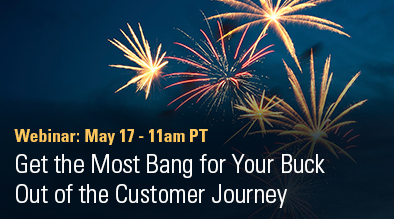 Hear the latest trends and data on how consumers behave in the various parts of the customer journey and how this impacts your business. Discover what consumers are really looking for at each stage. See how other companies have leveraged various tactics at each stage of the customer journey for exceptional results, and what strategies you can implement to do likewise. Learn about the role of analytics in the customer journey, and how you can leverage analytics to optimize spend.